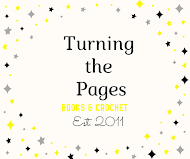 Waiting on Wednesday is a weekly meme hosted by Jill at Breaking The Spine and is where we can talk about books we are looking forward to being released! Seventeen-year-old Tricia Farni’s body floated to the surface of Alaska’s Birch River six months after the night she disappeared. The night Roz Hart had a fight with her. The night Roz can’t remember. Roz, who struggles with macular degeneration, is used to assembling fragments to make sense of the world around her. But this time it’s her memory that needs piecing together—to clear her name . . . to find a murderer. This unflinchingly emotional novel is written in the powerful first-person voice of a legally blind teen who just wants to be like everyone else. Debut novelist Laura Ellen's own experiences with macular degeneration add powerful authenticity to this suspenseful and emotional page-turner for teens. Both of these books look super intense and think I'll be pre-ordering both of them! Now, what are YOU waiting for this Wednesday? Nice picks! I can imagine the first one as a movie. 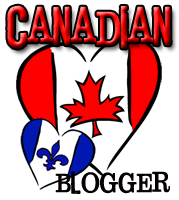 And thanks for following my blog. I'm now following yours! I hadn't seen either of these before-- and they're both awesome picks! Thanks for stopping by! Following you back. Hm. Haven't really heard of either of these books before. Not a fan of multiple POVs, but Breathe does sound interesting. Thanks for stopping by and following. Am now following you via networked blogs. I've not heard of Breathe before, it sounds fantastic and intense! I so want to know what's going to happen in those 2 days they're in the Outlands, and I feel like I'm going to really feel for Bea. Thanks for sharing, definitely added to my TBR list now! Enter my Birthday Giveaway: an April release OR a book of your choice! Two winners! Breathe was on my WoW a couple of weeks back! Blind Spot sounds awesome too! Hi there :) just popping in...Blind Spot sounds awesome and I already have it on my TBR pile, good choice! Great selection of books. Both sound really interesting. Love the cover of Breathe, but the blurb of Blind Spot really speaks to me. Thanks for sharing, and thanks for stopping at my blog. Ooo I love the sound of these two books! I love how for the first one there is a little breakdown of the characters as well- I love the sound of Quinn! I love the cover of Blind- it sounds like it could be a moving book! I haven't heard of either of them, but Breathe sounds really good that's one I'll be adding to the TBR!. Thanks for sharing and for stopping by, oh and thanks for following! :D.
I never heard of Breathe and I'm checking it out. And yes! Blind Spot! Totally couldn't wait for that. Awesome pick! Breathe sounds wonderfully intense. I will have to check it out! Both of these sound amazing! And I love both the covers too! I'm definitely adding these to my tbr pile! 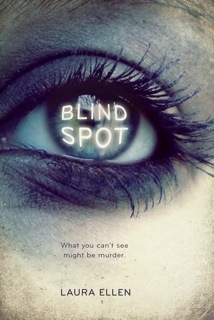 The cover alone for Blind Spot has me wishing I had a copy in my hands right now! Great pick! wow! Breathe sounds amazing! Will def out it on my TBR list!! Thanks for sharing!! Great books!! I love the look of both of these! New follower. I have not heard of either one of these books or authors. But after reading the blurbs, I can see why you are waiting for them to come out. I need to put them in my TBR pile. Thanks for sharing and for stopping by my WoW. i'm super excited for breathe as well. blind spot sounds awesome. i added it to my wishlist. my WoW for this week. I'm excited for Breathe as well! I've got Breathe on my list as well! And Blind Spot sounds amazing. :) Good choice of books this week. Really great picks! I had never heard of either book before so thanks! These both sound great! New follower. I can't wait to see what you think of both of these when they come out. I like how Blind Spot sounds. I'll definitely check that one out. Thanks for the suggestion! Please check out my Wow! Blind Spot sounds amazingly creepy. Added it to my tbr list. Great picks! I had never heard of Breathe, but I'm super excited for Blind Spot. Will add Breathe to my GR, great picks! I have just started to see Breathe around a bit. It sounds like a great read. Both of these books sound really good. Adding them to my TBR list. Thanks for following me. I'm following you now. I'm love those covers. I can't believe I've never stumbled upon these books until now! They look awesome. Great picks! Both of these look so good. Great picks! Both sound so good! I am especially looking forward to Breathe. Both of these sound sooooo good! Totally adding them to my list! I've heard of both of these before and I have Blind Spot on my TBR pile but I think this is the first time I've read the blurbs thoroughly. Thanks for sharing! 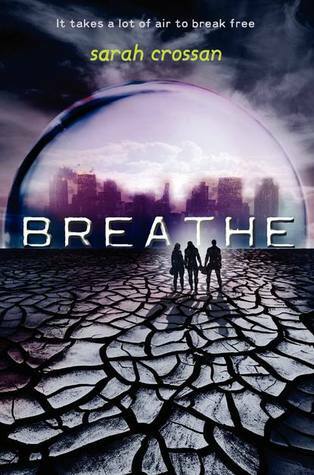 I will be adding Breathe to my TBR pile. And thanks for stopping by my blog :). Breathe sounds like an amazing dystopian! Can't believe I've never heard of it before! Great picks! Breathe sounds amazing, I love the cover. Thanks for sharing! Awesome picks! Both books look great! Breathe sounds so cool! I can't wait for that one either! Thanks for sharing and thanks for stopping by! Gosh, those owls on your blog design are very cute! That said, I don't think I'll read Breathe (simply because I don't enjoy dystopia that much), but Blind Spot? Oh my gosh, YES. I think it'll be something entirely different yet still enjoyable. I have great expectations of it! Thanks for dropping by and commenting on my WOW! Ohh! I love the cover of the first one. o: And I can't wait to read Blind Spot either!! It sounds fantastic! Neeeeed. RCC Challenge — Don’t Be Such a Tease! RRC Challenge: Cuddle Up With a Book! RCC Challenge: Showing off my pile!! It Rains In February GIVEAWAY!